A young girl's brutal murder raises questions about whether the nation's child protection system is doing enough to protect vulnerable children. MINNEAPOLIS — Her name was Heaven. But she lived through hell. A young Twin Cities girl was removed from her family by Ramsey County Child Protection after allegations of physical and sexual abuse, but later returned to her mother – only to be brutally beaten to death. Records reviewed by KARE 11 raise questions about whether authorities in two different states missed warnings that could have saved her. “She was just the sweetest,” Heaven Watkin’s aunt remembers. “She was a joy, she was a joy,” said Sheronda Orridge. She believes Heaven was a little girl child protection failed to protect. 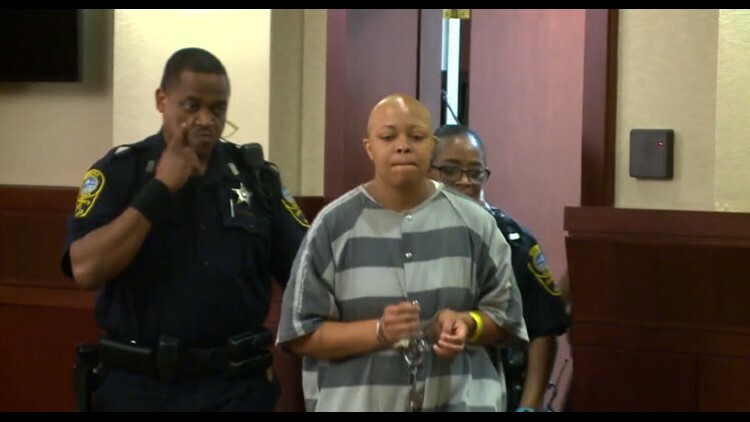 In a Virginia courtroom, Heaven’s mother Latoya Smith was charged with Child Abuse and Murder in the 2nd Degree. 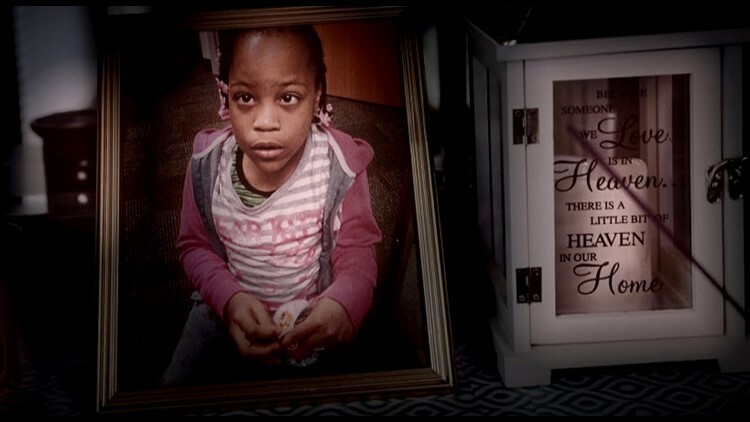 On May 18, 2018 police were called to an apartment in Norfolk, where Heaven, Smith’s 11-year-old daughter, was found beaten to death. But Heaven’s history of hell actually began years ago in Minnesota. In 2015, when Heaven was just seven-years-old, a Ramsey County judge ordered her removed from her mother. According to court records, there were concerns then about physical abuse and neglect. Ramsey County Child Protection argued Latoya Smith was unable to protect Heaven from sexual abuse and unable to meet her special needs. Heaven had been born premature and diagnosed with cerebral palsy. She was developmentally delayed and had behavioral issues. Child Protection placed Heaven with her aunt for more than a year. During that time Sheronda says there was remarkable improvement. But family members say there were also troubling echoes of past abuse. They remember a child often full of fear. “She used to ask me all the time, that I won’t let no one kill her,” Heaven’s grandmother told KARE 11. Raola Watkins remembers a question that still haunts her. “You gonna let somebody kill me?” she says Heaven would ask repeatedly. “No, I’m not. I’m not going to let no one kill you,” her grandmother would assure her. By all accounts, Heaven was doing well while she lived with her aunt. But under Minnesota law one of the goals is to try to reunite kids with their parents. So, in the summer of 2016, Heaven was returned to her mother for several months on a trial basis. 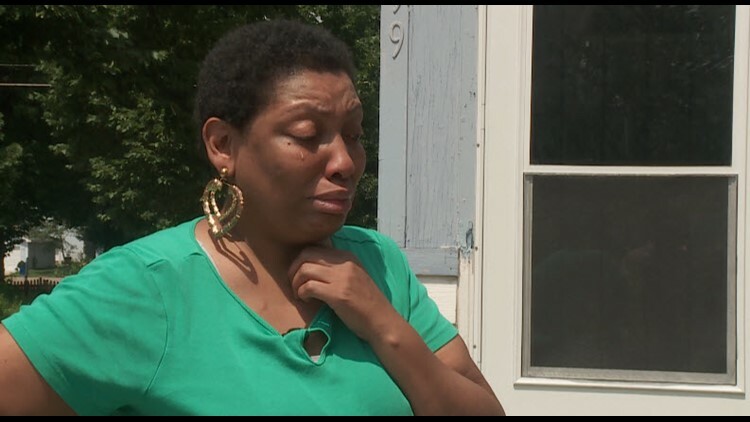 In October after a report by a Guardian Ad Litem saying Latoya Smith had “made significant improvements” a judge approved returning Heaven to her mother full time. Child Protection recommended dismissing the case, even though KARE 11 discovered that teachers at Heaven’s school were still raising warning flags. Heaven’s aunt warned of even worse. After the Child Protection case against Latoya Smith was dismissed, she moved to Virginia. That’s where early this year Heaven’s hand was burned so badly she was hospitalized. She had to have a skin graft in February. Latoya claimed it was an accident. Virginia authorities, apparently unaware of the history of abuse in Minnesota, failed to intervene. Four months later Heaven was dead. Autopsy and forensic reports document the torture the little girl endured. Experts found “lethal blunt force injuries to the head and torso” are what killed her. It was a “classic hallmark of child abuse,” wrote Tal Simmons, a forensic anthropologist at Virginia Commonwealth University. Some of the injuries may have dated back years. In court, Latoya Smith has pleaded guilty to “felony homicide” and is awaiting sentencing. Her boyfriend Demont Harris, has also been charged with felony homicide, but prosecutors haven’t detailed who they think delivered the fatal blows. Experts say Heaven’s death raises question about whether child protection workers in two states missed clear warnings. “What we worry about is the lack of consistency in practices across the state,” says Rich Gehrman, Executive Director of Safe Passage for Children of Minnesota, a group that advocates for kids. Gehrman says a recent study found that Minnesota ranks next to last in state funding for Child Protection and Foster Care services. As a result, much of the financial burden falls on individual counties. He thinks the state needs enforceable standards and better training. Children are in even greater danger when they move from one state to another, Gehrman says. That’s because records of abuse don’t automatically follow them. Citing privacy laws, Child Protection officials in both Minnesota and Virginia said they will not discuss the details of Heaven’s case or the warnings that may have been missed. Under Minnesota law, Child Protection case data is classified private data on individuals in the hands of counties’ Social Services departments. We can provide general information about proceedings in response to your inquiry. In Minnesota, counties are required by law to work toward family reunification in Child Protection cases, unless specifically excepted by statute. When a parent is found to be compliant with Ramsey County Child Protection and Court Orders during the period their child is placed out of the home, a child must be returned to the parent’s care. Following reunification with their child, a parent is no longer legally compelled to work with Ramsey County Social Services but may continue to do so on a voluntary basis. Following reunification, a family may also relocate of their own volition. Ramsey County Social Services has been deeply saddened by the tragic news of Heaven Watkins’s death. Federal law allows and Minnesota law (MN Statute 626.556 Subd. 11d) requires the release of additional information about child protection cases in which a child died. Based on that law KARE 11 is filing a formal request with Ramsey County to release more information about the warnings they received and the actions they took in Heaven’s case. Along the St. Paul street where Heaven once played, those who loved her still question what more could have been done to save her.